When going for a trip you always have an option to take your dog with you. We all know that dogs love to travel and therefore taking them with you is a great idea. However, there are few safety tips you must follow to secure your favorite pet from any trouble when you are travelling. If your car doesn't have a large window boot, then your dog would travel on the seat of your car. 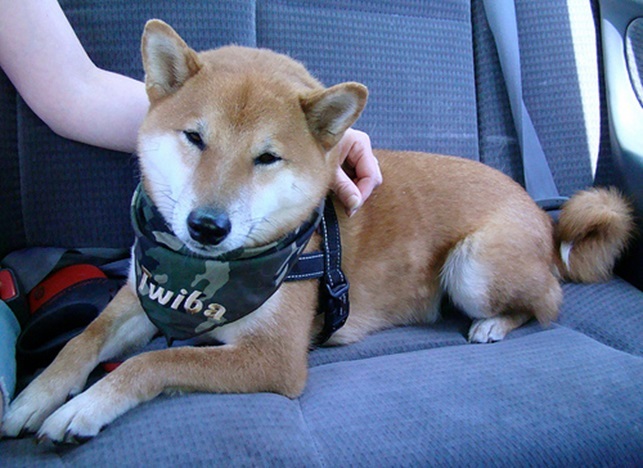 Therefore, you must purchase a dog safety seat as it would keep your dog safe, if you have to stop your car suddenly. Keep the dog blanket in the boot of your car. The best way for a dog to cope with motion sickness is to sleep while travelling. Therefore, you could place a bed in the corner to make a place for comfortable nap. Buying coats for your dog would help in increasing his comfort while travelling. Feed the dog few hours before you start the travel. Feeding the dog just before the trip is not a good idea as it might result in getting your dog car sick. Don't feed the dog when inside the car, it's possible that he might vomit inside the car, if he feels sick. Therefore, it's better to carry some chew toys as they would keep your dog occupied while you are travelling. Buy a pet safety belt before travelling, it wold make sure that your dog doesn't roam around when you stop your car somewhere. In case of an accident, these safety belts would make sure that your dog is doesn't fall off the seat or on other passengers. If your dog hasn't travelled before in a solid-sided carrier then it's better that you give him some training. To your dog accustomed to flight travel you should start the training few weeks earlier to the travel date. This would make sure that by the date of travel dog is completely relaxed while travelling. The noise and loudness of the airport terminal and airplane could easily scare all the dogs. Therefore, it's better to train your dog by taking him to noisy places like airport terminal before the travel date. You shouldn't feed your dog for few hours before the time of departure. Despite the training given by you it's common that many dogs get nervous when travelling. During such condition if they have food in their stomach it would surely make them sick. When crossing the borders, you must carry the health certificate of your dog. This certificate would tell that your dog is healthy to travel. This certificate is needed by every airline before they allow your dog to travel with you. You should specifically ask the airlines for any other papers if they need. You should place a microchip in your dog's collar with all the relevant information. You should label your dog as yours. When travelling with dog you should know that you are his only support. Therefore, it's your responsibility to take full care of your dog during travel. The tip given above would help you in doing that.